For many people, the scariest part of getting a divorce is having to walk into court and appear before a judge. But did you know that there is a way to obtain a divorce without ever stepping foot in a courtroom? It’s true. When I began practicing law, it was impossible to obtain a divorce without at least one party appearing in court and providing testimony. Even when a couple had reached an agreement on all their issues, one of them was required to appear before a judge and testify under oath. But that is no longer necessary. Resolving a divorce case can involve having to negotiate many different issues. These could include division of property, division of debts, legal decision-making (custody), parenting time, child support, spousal maintenance, and other matters. Parties who cannot come to an agreement have no choice but to battle it out at trial. This can be a long and expensive process, with the final decision being left to the judge. However, for those who are able to take matters into their own hands and negotiate a resolution of the issues, finalizing their divorce can be a simple matter. 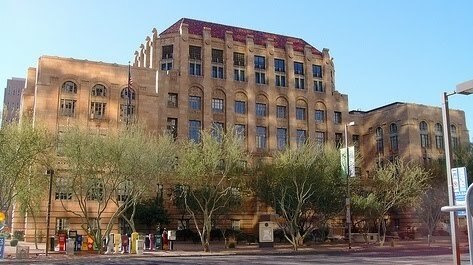 The Maricopa County Superior Court has a “Consent Decree” procedure which allows parties to submit their final Decree / Settlement Agreement to the judge without having to make a personal appearance in court. In order to use this procedure, the parties must be in complete agreement on all the terms of their divorce. A written Consent Decree must be prepared, and it must be signed and notarized by the parties. The Consent Decree must contain the terms of the parties’ agreement, as well as the necessary jurisdictional language required by Arizona law. Both parties must have paid an appearance fee to the Clerk of Court, or had the fee waived. The signed Consent Decree must then be delivered to the judge assigned to the case. If the judge deems the terms of the Consent Decree to be fair and reasonable then she/he will sign the document, the Consent Decree will then be filed with the Clerk -- and the divorce will be finalized without the parties ever having to appear in court. For couples who are able to negotiate a resolution of their issues, the “Consent Decree” procedure can make divorce a relatively painless process.